Thanks to a generous donation by Richard and Joanne Jacobson, we have a new mural arriving in our meeting room. 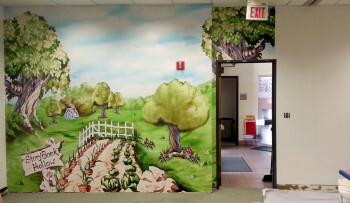 This mural was selected by staff and approved by FOAL’s board. Additional thanks to Mr. Chris Johnson for installing the mural so expertly! For those who had names on the past mural, we have kept those names and will be applying them to the new mural soon. We are very excited about the new mural and will follow up with a new picture once the entire piece is installed. Comments Off on New mural has arrived!